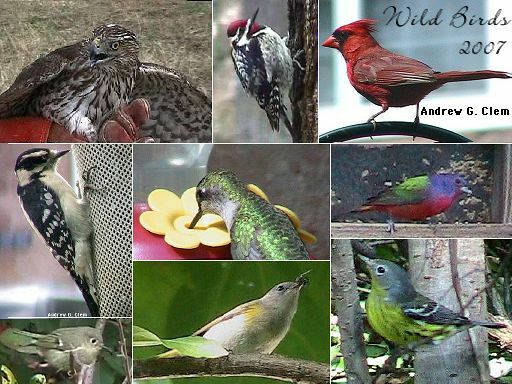 Clockwise, from top left: Sharp-shinned Hawk, Yellow-bellied Sapsucker, Cardinal, Painted Bunting (! 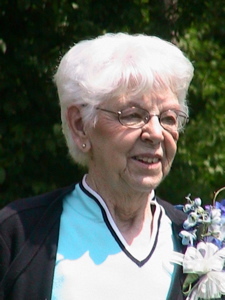 ), Magnolia Warbler, Redstart, Ruby-crowned Kinglet, Downy Woodpecker, and in the center, Ruby-throated Hummingbird. 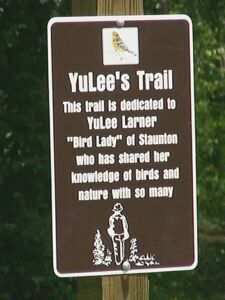 Dedication of the trail named in honor of founding club member YuLee Larner at Montgomery Hall Park, May 2005.